Open to the entire community, come and run or walk with all the girls participating in Girls on the Run at our joyful, inspiring and super fun 5K celebration! Every registered participant will receive a finisher medal. Registration and Family fun activities begin at 8 a.m. with the 5K celebration starting at 9:30 a.m.! Register by Sunday, April 21 to receive your preferred size for your short sleeve event t-shirt! Online registration closes on Monday, May 6 at noon. More interested in volunteering? Our 5K’s would not be as successful without the energetic help of our volunteers! 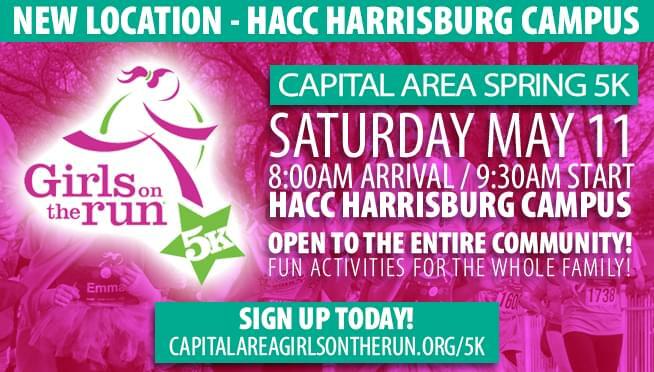 Sign up to volunteer by checking out our website or emailing marykate@capareagirlsontherun.org.